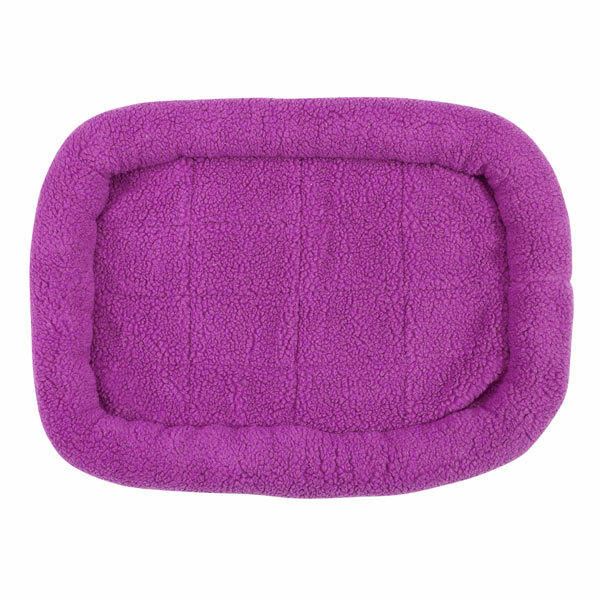 Give your pet a restful experience with the supportive Slumber Pet Sherpa Crate Bed in Lavender. Love this bed. It fits my new puppy's crate perfectly. Fast shipping, great product. Posted On 03/17/17 by Melanie W from Franklin, TN Yes, Melanie W recommends this product! My two Shih Tzu puppies LOVE it! It's very soft & cuddly. Well made. Washes up nicely on the towel cycle in my washing machine. Posted On 04/30/16 by charlene R from CENTENNIAL, CO Yes, charlene R recommends this product! 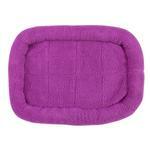 I buy all my kennel pads from Baxter Boo. They just carry a better made product. They look nice after washing and drying. SO FAR I LOVE THIS SITE!